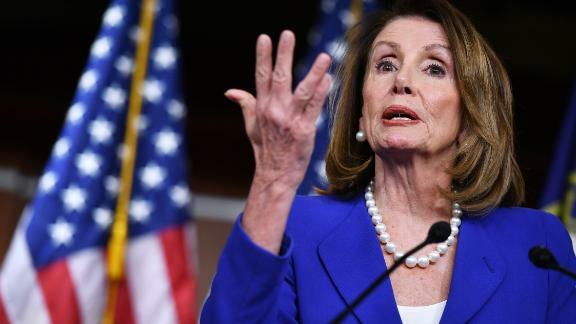 Democrats are intensifying their calls for the full Mueller report to be released, with House Speaker Nancy Pelosi calling Barr's summary for Congress "arrogant and condescending." Attorney General Bill Barr said Friday the Justice Department will have special counsel Robert Mueller's report ready to release by "mid-April, if not sooner." In a letter to the chairmen of the House and Senate judiciary committees, Barr said his department is "well along" making redactions, with the assistance of the special counsel. Barr said the report is "nearly 400 pages long," not including appendices and tables and "sets forth the Special Counsel's findings, his analysis, and the reasons for his conclusions." Barr wrote that he and Mueller were working to redact four types of information from the report: grand jury material, sensitive intelligence material, information that involves ongoing investigations, and "information that would unduly infringe on the personal privacy and reputational interests of peripheral third parties." Democrats argue there is precedent for releasing grand jury material, and the aide said they see that as the "primary obstacle" to making the full Mueller report public.